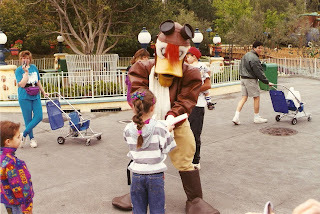 Meeting Some Real (and rare) Characters: "
Continuing our series of vintage Disney Parks photos this week, today we take a different perspective and look at some shots of characters rarely seen in the parks these days. 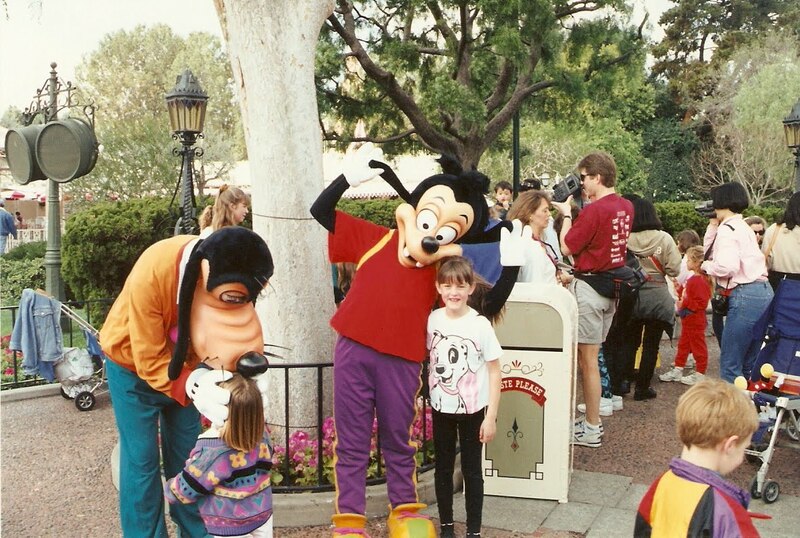 DisneyShawn blog reader Katherine Sanders from Saskatchewan, Canada, contributed this series taken on her first visit to Disneyland in 1994. That's her with Roger Rabbit, near the Carnation Plaza Gardens. 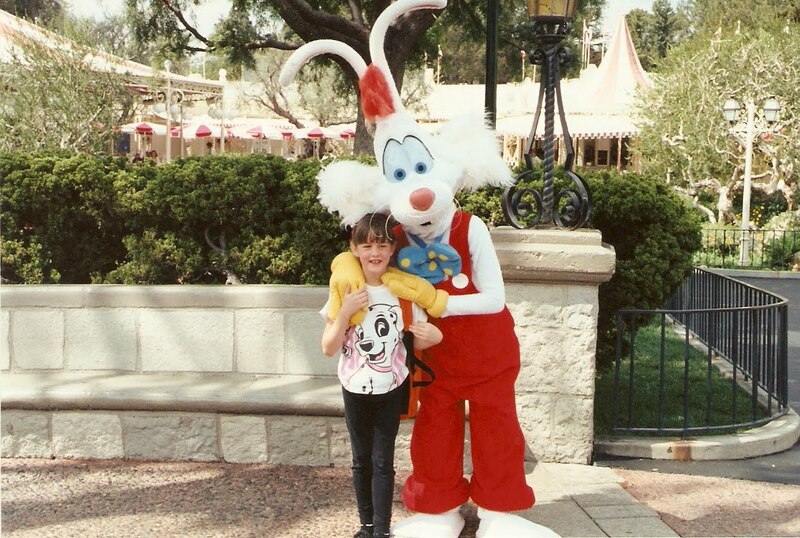 Following the 1988 release of Who Framed Roger Rabbit, Roger became a regular fixture in the Disney Parks, nearly as ubiquitous as Mickey Mouse. I find this next shot interesting for a couple of reasons. 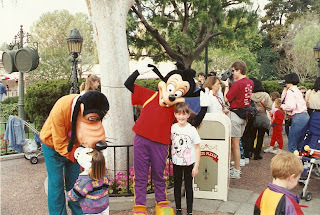 Goofy's son, Max, can still occasionally be seen in the parks, but this is a rare instance of Goofy himself in his 'Dad' outfit as seen on the 'Goof Troop' TV series and in A Goofy Movie (released in 1995). He's much more commonly spotted wearing his traditional yellow vest and green hat. Click on the photo for a closer look, and you're sure to also get a kick out of the enormous video camera and fanny pack the fella in the red shirt is sporting! Katherine's rarest find of all that day, though, was probably this guy: Bonkers D. Bobcat. Bonkers, of the Hollywood Police Department - Toon Division, was introduced in segments of the short-lived 1992 Saturday morning series 'Raw Toonage.' 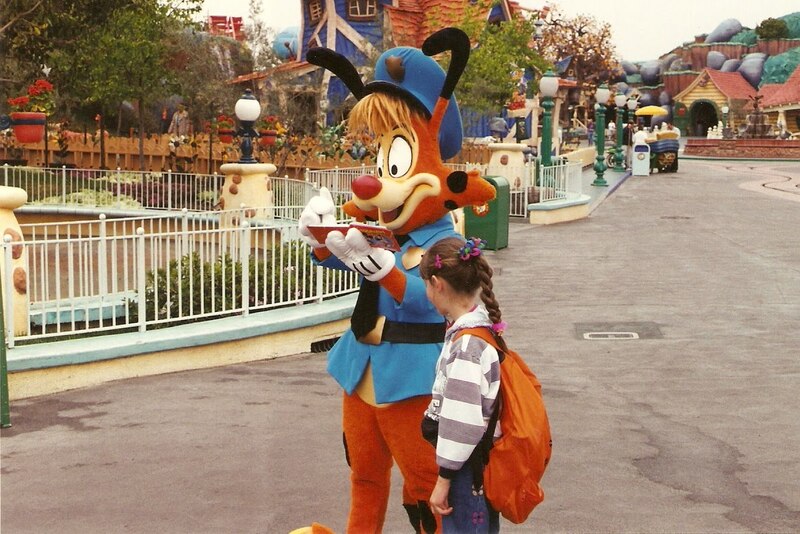 In 1993, Bonkers was spun off into his own, self-titled series on Disney Channel and in syndication, but he made very few appearances in the parks. So what about you? 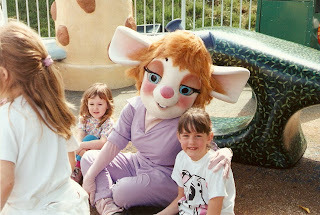 Anyone else out there have some great vintage photos from your early Disney Parks vacations? If so, I'd love to feature them here on the blog. Maybe you captured something long gone or forgotten. Maybe you have a picture you just can't place or don't know anything about. Send them my way, and I'll do my best to help shed some light. 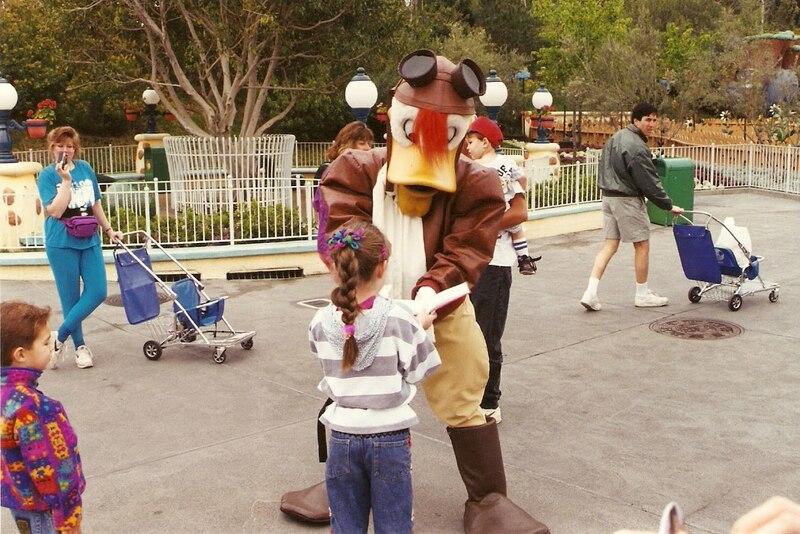 What's Your Favorite Hidden Mickey?